Today was Day #4 of Chocolate and Coconut Theme Week. It was not difficult to find items for this week's theme, as coconut items, in general, have been enjoying a resurgence in popularity this year. 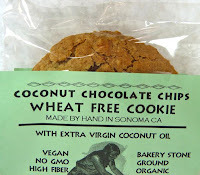 Grindstone Bakery (Rohnert Park, CA) makes wonderfully good gluten free, and wheat free breads and cookies. I've enjoyed all of the company's baked goods that I've tried thus far. 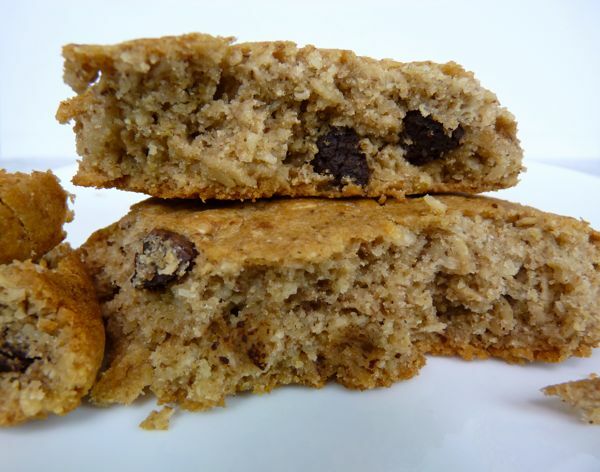 This cookie used soaked whole grain barley and barley flakes, and was made with organic ingredients in a wheat-free facility. While not gluten free, this Coconut Chocolate Chips cookie was filling and satisfying due to the whole grain and higher fiber content than what I've found in most gluten free items (that often incorporate rice, potato, tapioca and other "white" flours). 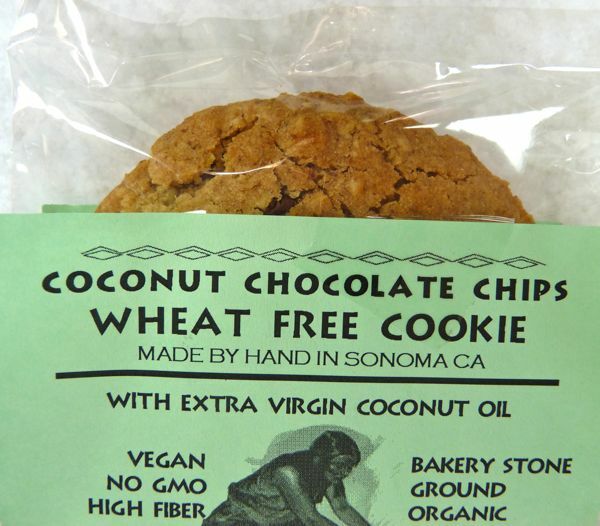 Made with "extra virgin coconut oil," and non-dairy chocolate chips, in Sonoma, CA, this was a great (and substantial) breakfast cookie.